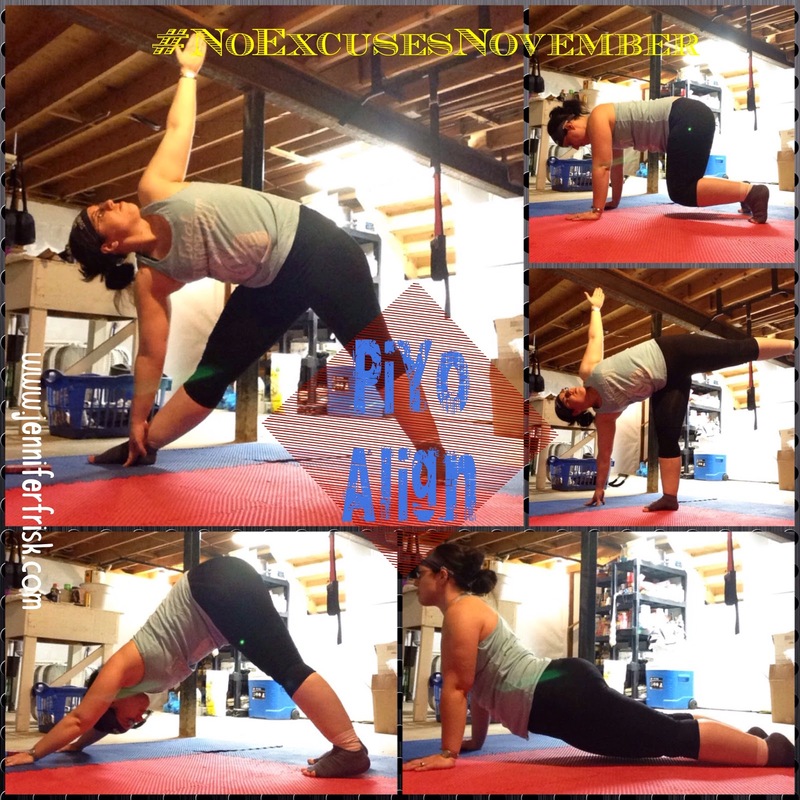 Joy in the Journey: #NoExcusesNovember - Week 1 of PiYo Done! 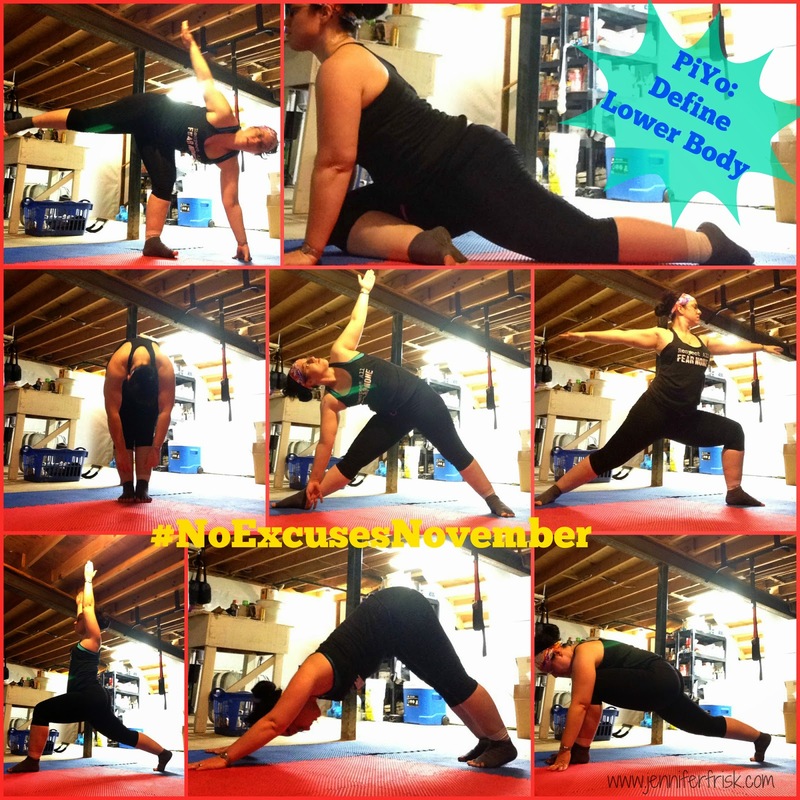 #NoExcusesNovember - Week 1 of PiYo Done! Along with tackling mental excuses, I used the #NoExcusesNovember as a launchpad to tackle my big physical excuse - that is, my previously injured foot. I had tried to follow the modifier in the 21 Day Fix, but either I was too prideful (probably) or my foot wasn't quite up to snuff yet (also probably) because it still hurt. Lunges especially made me buckle with the pressure to the upper part of my foot. So what better time to break out PiYo, right? Right. 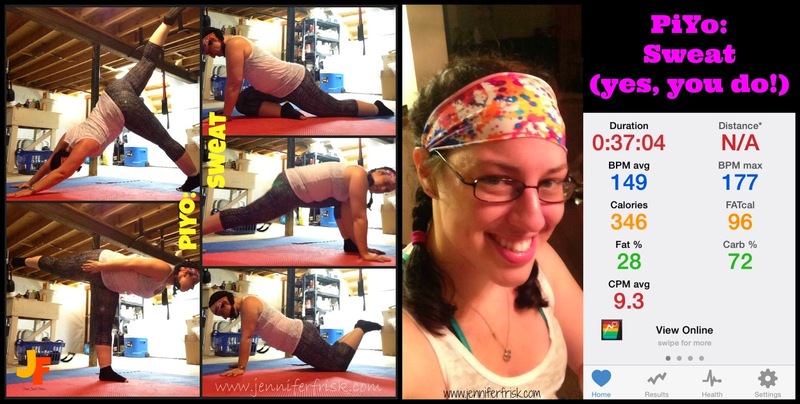 How about a little background on PiYo as a program first, shall we? 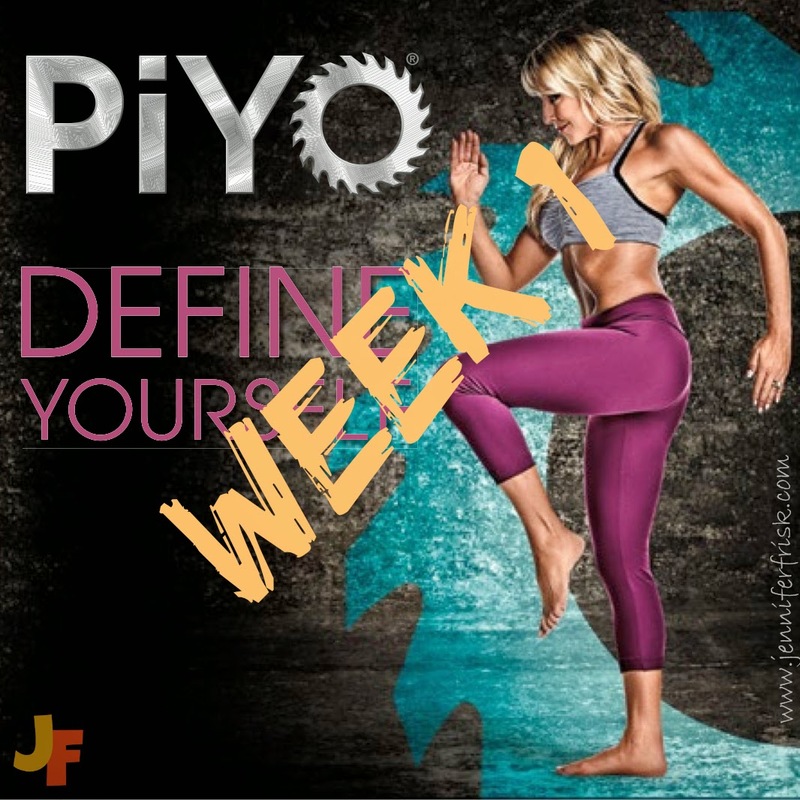 PiYo is a 60 day program inspired by yoga and pilates and led by Chalene Johnson (creator of Turbofire and ChaLEAN Extreme). What that means is that PiYo is neither yoga nor pilates but a fusion of moves based on the "typical" yoga/pilates practice. There are 9 workouts (10 if you order through a coach!) that can be done just about anywhere (you need enough space for a large step in any direction), and they range in time from 20 minutes to 45 minutes. The workouts are low impact. The promise of PiYo is that it will sculpt and carve your body without jumps, weights or strained joints. Does it live up to that promise? We'll see in just a few weeks! I will say that though equipment is not required, I highly highly highly recommend a grippy surface to do these workouts on or at the very least, grippy socks. After just one week, I can attest that you WILL sweat - and it's hard to hold a pose when you're sliding on sweaty feet. Just so you know. The first workout of the week was Align: the Fundamentals. Align is approximately 40 minutes in length and really focuses on doing the poses correctly. There is a lot of talk in this one, and I must admit, I didn't catch everything she threw out there. But there were some GREAT cues on common ways that people make poses ineffective or even stressful. Chalene also uses this DVD to explain some common poses and combinations within PiYo. As I came to find out Thursday, those are very important! 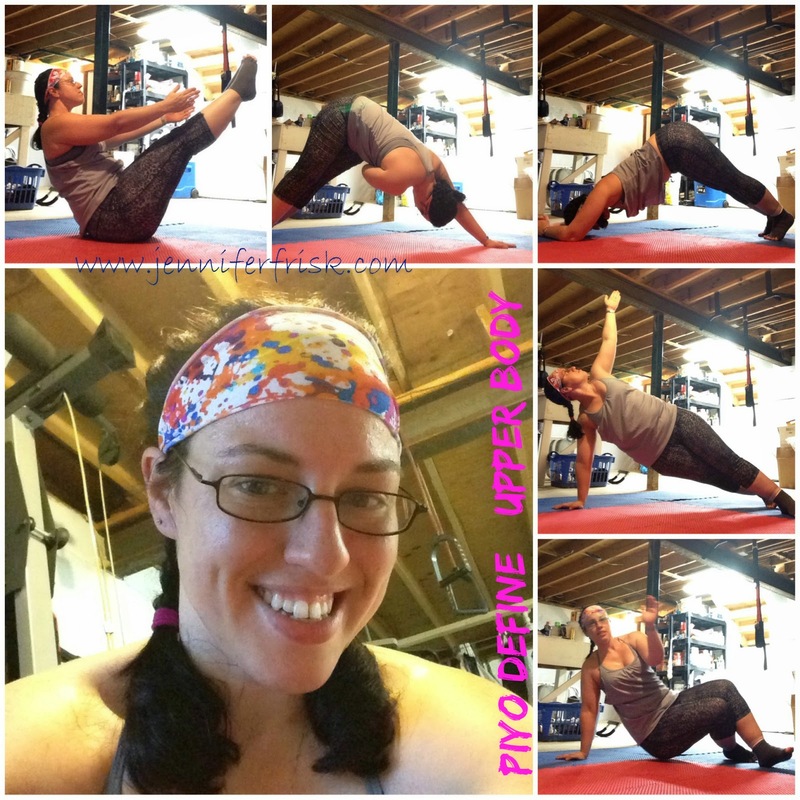 Because PiYo can - and does at times - move quickly! Next is a ~25 minute routine that has several variations on the Warrior poses as well as Downward Dog and Triangle. While I really didn't feel this one too much at the time, I was very pleasantly surprised that my glutes were sore the next morning! This DVD was a great stretch and obviously, a great strengthener. This 20 minute routine was heavy on the upper body with planks and variations on Dolphin. There were also tons of ab engagement. This was short, but I was feeling it nonetheless - and this time I was feeling it immediately! I have to admit, though, at this point in the week I was really starting to miss my high impact normalcy. I was working up a good sweat, and the workouts were great at centering me, but my heart wasn't pounding, and I didn't feel like I was going to die - and I was missing that feeling. Guess what? I got a bit of that back in the very next workout! Color me happy! 35 minutes of sweat was, well, sweaty! Almost 10 calories per minute and a max heartrate of 177 from a yoga/pilates inspired routine? Yes, please! I didn't know it was possible! But *this girl* was ecstatic to find that it was! I did have one small complaint about this workout, though, but I'm not sure how you would remedy it. You know how I said Align went through some combinations to get you used to them? It was still easy to get lost in Sweat - simply because there wasn't enough time to cue properly. Overall, though, this was my FAVORITE of the week! So there you have it - week one done! Does this look like something you would be interested in? Are you looking for something that is low impact and easy on your joints? Are YOU post-injury as well? I'd LOVE to chat with you about this program as well as my upcoming challenge group. Hit me up!